Acne is the most common skin disease and, while it’s often associated with younger people, affecting an estimated 80 percent of those who are between the ages of 11 and 30, people who are well into their thirties, forties and even fifties can still experience breakouts. According to research, acne affects 40 to 50 million people, so you’re definitely not alone if you suffer from frequent breakouts. The primary cause of acne is the overproduction of oil; blocked hair follicles that don’t allow that oil to leave the pores, which often results in clogged pores as well as the growth of bacteria inside the hair follicles. But what causes this to happen? Knowing the reason behind it is the first step to preventing breakouts. While genetic factors play a role in how the body reacts to various hormones that can cause acne, there are a number of habits and patterns that could be causing you to break out, or exacerbate this already extremely annoying issue, including these triggers, some of which may be rather surprising. Your makeup and other personal care products: While you probably think you’re doing something good for your skin when applying those pricey beauty products, they may be doing more harm than good, especially if they contain certain ingredients. 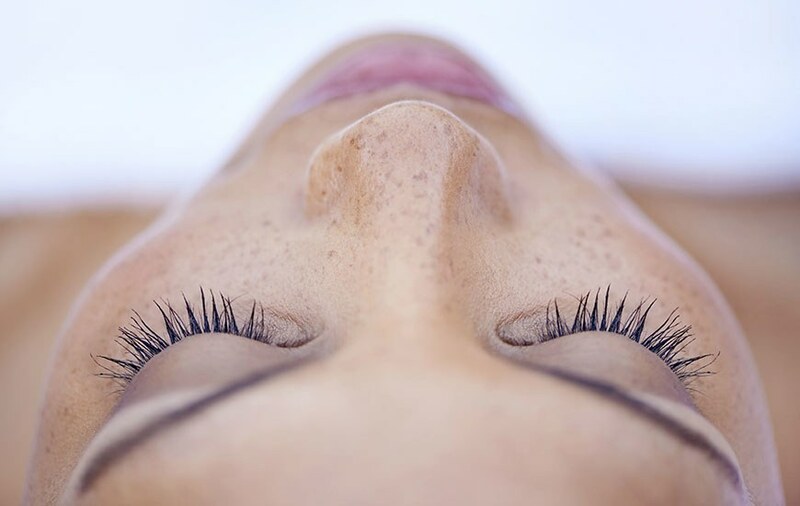 When your skin is healthy, it will lift dead skin cells up and out through the pore in a process that allows it to exfoliate itself and make new skin and collagen. But many store-bought chemical-filled products tend to dehydrate the skin, and when the skin is dehydrated it starts to trap dead skin cells, along with the chemical junk in the products you’re using right inside your pores. Those chemicals can increase sensitivity in the skin and remove its protective barrier, which makes it more reactive to things you put on it. In response to even the slightest external stimuli, it begins to send more blood flow to the area, making your skin red and blotchy as well as contributing to breakouts. Your diet: What you eat has a huge impact on your body, both mentally and physically, so it’s not surprising that it also has a significant impact on your skin. If you suspect your diet could be causing your breakouts, try eliminating dairy products, sugar-filled foods as well as processed and fast foods that typically contain unhealthy fats. You’re stressed out: Have you ever noticed that you suddenly breakout after undertaking a massive work project or getting into a serious argument with your significant other? There’s a reason behind it: stress causes acne. That’s because stress causes an inflammatory response in the body, and can result in the walls of the pores breaking. When that happens, the body responds with redness around that broken pore, resulting in a pimple. When we undergo stress, the adrenal gland is put into overdrive and hormones known as androgens increase. A higher level of androgens can lead to more acne, which is especially true for women. When hormones are all over the place, the skin emits more oils. If you believe stress is the main cause of your breakouts, the good news is there is something you can do about it, other than quitting your job. As long as you don’t overdo it, exercise is the very best way to combat stress – aim to workout three to five times a week for 30 minutes or more. You smoke: By now, you have to know how bad smoking cigarettes is for you, but if you’re doing it anyway, you should be aware that each time you light up you’re decreasing the amount of oxygen that gets to your face. That not only sets you up for a higher risk of cancer, but it causes the breakdown of elastin and collagen that can lead to increased pore size and wrinkles. Plus, because there are carcinogens in the smoke, those also irritate and dehydrate the skin, which triggers it to produce more oil and potentially more breakouts. Cigarette smoking also depletes many nutrients, including vitamin C, which helps protect and repair skin damage. This one is a no-brainer! Quit now and save your health as well as your skin. You aren’t properly cleaning your skin: How you care for your skin also has a significant impact on its appearance, including breakouts. As acne.org notes, acne is caused by the clogging of pores that leads to irritation, which shows up in the form of a pimple. Logically, if you’re not washing all of that dirt, oil, and makeup off your face each day, you’re increasing the odds of a breakout. On the opposite end of the spectrum, you may be scrubbing your skin too much. A lot of people prone to frequent breakouts think that the more you scrub your skin, the smoother it will be, but in reality, the problem only gets worse. That’s because you’re scrubbing the active acne and the blemish bacteria is then spread across the skin, worsening the condition. The best way to prevent breakouts is to gently wash your face twice each day, in the morning and at night, using a gentle, hydrating cleanser. Instead of spending your hard-earned money on expensive products, put together your own using natural ingredients, like a honey and lemon cleanser. When combined, they make the ideal natural moisturizer and antiseptic.